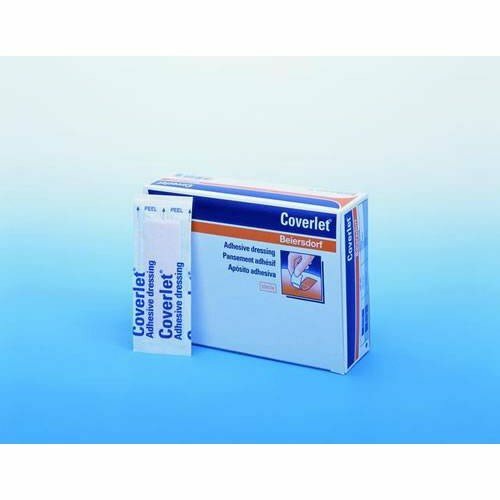 Coverlet Dressing Bandage by Jobst is a comfortable, effective wound treatment bandage that quickly and gently absorbs several times its weight in exudate. Each fabric shape completely seals off the wound site, creating a healthy moist wound healing environment that effectively repairs tissue and encourages healthy cell growth. 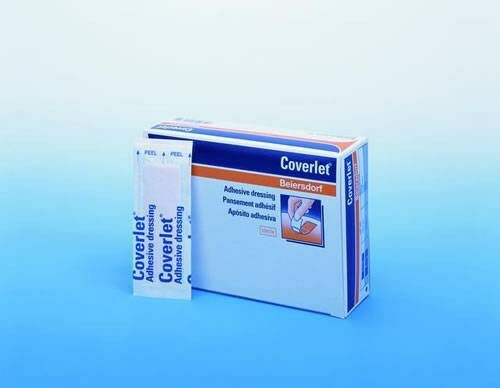 Coverlet Dressing Bandage by Jobst reduces discomfort throughout the wound treatment process while simultaneously allowing for maximum mobility and movement. Ideal for patients who are seeking a sturdy albeit gentle wound pad, this adhesive bandage can be used by a variety of different patients for quick, effective healing. 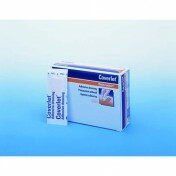 You might also be interested in similar wound treatment products that we carry, such as Curity Sheer Adhesive Bandages. Absorbs many times its weight in exudate. Fabric shapes completely seal off the wound site. Flexible design allows for maximum comfort and mobility. I am needing the oval size 1 1/4". Is it latex free? This product is latex free, according to the manufacturer. 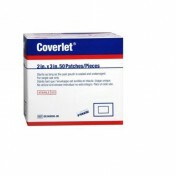 The coverlet bandages are so much better than regular OTC products and especially the CVS and Walgreens house stuff. They cover a bgger area and stay on, what a concept. I had been stealing them from my Dr.'s office until I found out how to buy them directly. Excellent - far superior to the poor quality of most over the counter products. Excellent - far superior to the poor quality of most over the counter adhesive bandage products.. Better in every way, good adhesive, good wound pad, quality fabric, easy to open, and not the skimpy sizes you frequently find in your local stores, Lower price too! As a house doctor, I have used this dressing from BSN jobst for years. There are some reasons for this. First of all, I am so satisfied with the quality. It's flexible and easy to apply on skin. Secondly, I like the way it's sealed. Each one of them is sealed so thoroughly from contaminants. Guess It will be my favorite in the future as well.